When it comes to style, we feel we are a “cut“ above the rest because of our exclusive design center. We offer engagement rings, wedding bands and jewelry that is meticulously hand-crafted by internationally acclaimed jewelry designer, Serob Torosian. Custom rings are just one of his specialties! For over 23 years, Serob has created original ring designs for the elite in the United States, Italy, and Russia. Serob has a strong pedigree in the fine art of ring design—before starting his own line, he created designs for the renowned Tacori brand. 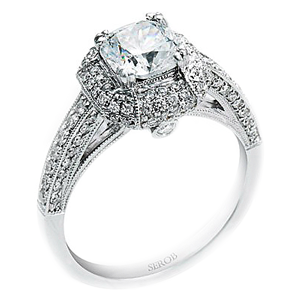 Serob states, “The jewelry business is much more than just a money-making venture. Next to my wife and children, It’s my true love and calling”. His every concept, every design, comes from his heart and is poured into every piece. Hadar Diamonds offers ring designs (CAD renderings) to finished piece that are ready for you to pop-the-question in the shortest period of time. 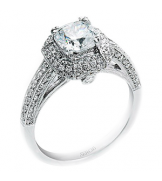 We invite you to view our inspired ring collection. Or email us a selection of your inspired designs. All rings and jewelry are available in any metal type— including gold color and Karat grades.